I’m not really a politics junkie, but I found the extraordinary divisiveness of the recent presidential campaign mesmerizing (not to mention deeply disturbing). For Christians, the danger of becoming so engrossed in an election like the one we just experienced is that it’s easy easy to lose perspective. Unaware, we can gradually forget what we claim to believe about the sovereignty of God as we agonize over the triumph of this candidate or the failure of that one. This is one reason I called your attention recently to Vince Bacote’s book The Political Disciple. It is filled with reminders of Biblical truths that will keep us grounded if we cling to them. Before I forget about it, I thought I would also call attention to another voice that I needed to hear in the aftermath of election day. Michael Gerson is one of my favorite writers on public life. A graduate of Wheaton and a former speechwriter for President George W. Bush, his op-ed column in the Washington Post is regularly engaging and insightful. And for those who doubt that a “mainstream media” source like the Post could possibly feature a substantive Christian perspective, Gerson’s editorials consistently prove otherwise. The pursuit of social justice and the maintenance of public order are vital work. But these tasks are temporary, and, in an ultimate sense, secondary. If Christianity is true, C. S. Lewis noted, then “the individual person will outlive the universe.” All our anger and worry about politics should not blind us to the priority and value of the human beings placed in our lives, whatever their background or beliefs. After a dismal and divisive campaign season, many of us need the timely reminders of the Advent season: That people matter more than all our political certainties. That God is in control, despite our best efforts. And that some conflicts can’t be won by force or votes–only by grace. 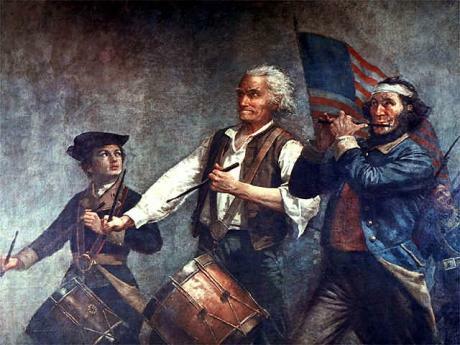 Independence Day is less than a week away, so I thought I would share a few more thoughts about what it might look like to think Christianly about the American founding. The degree to which Christian beliefs influenced the creation of the United States is a question that many American Christians find intrinsically important. I certainly share that view. 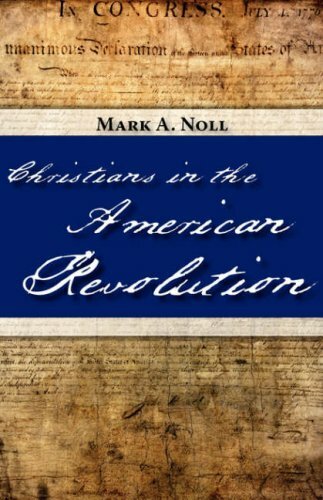 When it comes to the topic of faith and the American founding, however, amateur Christian historians have too often focused on a simplistic, yes-or-no question: did religious belief play an important role or didn’t it? And so, like David Barton, they count references to God and allusions to Scripture and answer the question with a triumphal “yes!” They then wield this two-dimensional “Christian heritage” as a lever for motivating believers and putting secularists in their place. In the process, however, they actually discourage the kind of encounter with the past that can penetrate our hearts in life-changing ways. What would a different approach look like? The best way I know to answer this question is with a concrete example. There are many that I could cite. An encouraging development in recent years has been the increasing willingness among accomplished Christian scholars to breach the walls of the academy in order to communicate with the church. Younger historians who are doing so include (among many) John Fea of Messiah College, Thomas Kidd at Baylor, and James Byrd of Vanderbilt University (my alma mater).